The historical building permit notes that the first owner was Nellie D. Webster, and that the house was built in 1910. The home's current owners are only the third owners of the home in its entire history of over 100 years. They have taken great care to respect the original character of the home while modernizing it to fit their needs. The home is notable for its Arts and Crafts interior. Together with neighborhood kids, he was known to go “doorbell-ringing.” On one occasion, the second-generation owner of this house, Andy Berg, was lying in wait for them. Much to their surprise, the spry 70-year-old met them at the steps and chased them almost all the way to Broadway Avenue! It was a scare they never forgot. 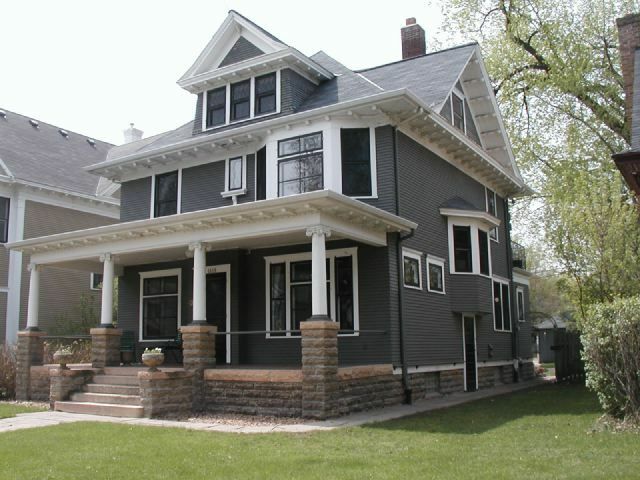 This Prairie Foursquare with a wood exterior also has elements of Classical Revival architecture. The open, full-width porch is held up by Ionic columns resting on stately limestone piers with light-colored sandstone caps. There are cheek walls on both sides of the wide stone front steps. Notice its asymmetrical façade, characterized by a prominent, off-center second-floor bay window but also having a centered roof gable. The hipped roof has cross gables and wide eaves, supported by decorative modillions underneath. Note the dentil work at the cornice line (on the porch). There is a three-window set in the front-gabled dormer. The north façade features a projecting bay over the side entry door. 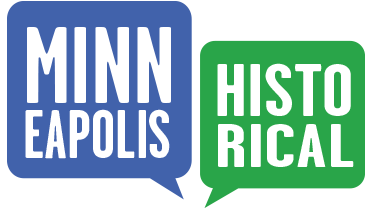 Old Highland Neighborhood Association, “1619 Emerson Avenue North,” Minneapolis Historical, accessed April 18, 2019, http://minneapolishistorical.org/items/show/35.